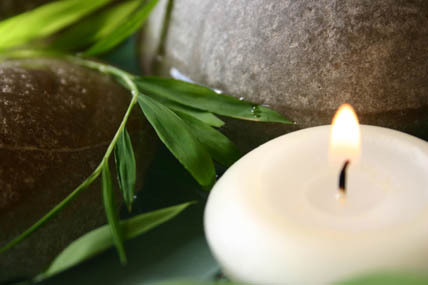 Riverfire Massage Therapy of Green Bay offers relaxation massage sessions, which are the traditional massage therapy sessions that most people think of. These sessions are soothing and relaxing and are good for those who are receiving a massage for the first time. Sometimes referred to as “Swedish Massage”, there are several benefits to this type of massage therapy. Sessions can help relax the body, reduce stress and tension, control the respiration and heart rate, decrease blood pressure, stimulate blood flow and the lymphatic system, alleviate soreness, and aid in muscle recovery. This type of massage (as well as neuromuscular therapy) is the foundation for sports massage for athletes. The body’s skin is loaded with nerve endings. Relaxation massage stimulates the nervous system response leading to the production of endorphins in the brain creating an overall sense of wellbeing. The overall effect is a stabilization of the body’s biorhythms. The technique and strokes employed in relaxation massage are varied. Massage strokes are used to warm up the muscles, release tension, and release “knots”. The level of pressure and the depth of the massage can be dictated by the individual client, with the ultimate aim being the comfort and wellness of the client. Be sure to communicate with the therapist and tell him of any preferences that you have or if there are areas of focus. No part of the massage should hurt or be painful. Relaxation massage is based on the anatomy and physiology of the human body an area Greg Dickert understands and knows well from his years of experience as a registered nurse. So you are good hands with Riverfire Massage.